We were pretty disappointed with Hollywood itself - it was grotty, and full of people trying to ram tours of 'celebrity' houses down our throats. But I guess you can't really go to LA and not go to one of the most famous places on earth! 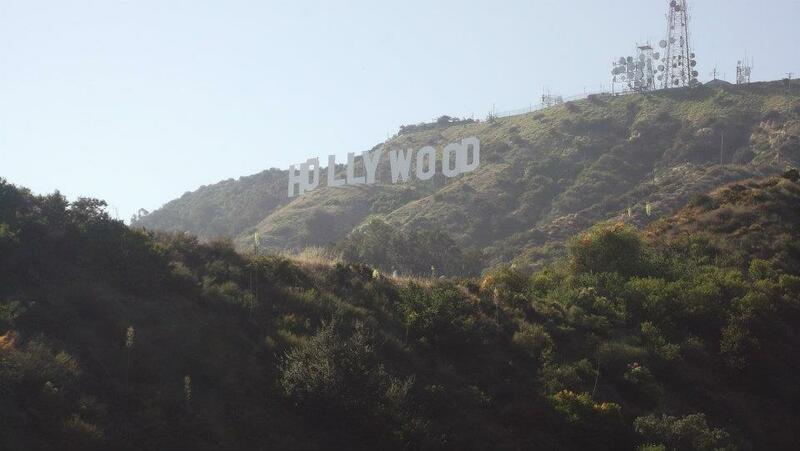 We got our standard Hollywood ﻿sign photos by heading up tp Griffith Park, and got a great little view of LA thrown in. That candy striped skirt is so cute!